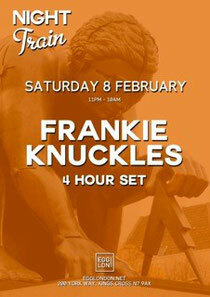 February for Egg London kicks off in a big way on Saturday 8 February with Night Train welcoming Frankie Knuckles and Lee Foss. 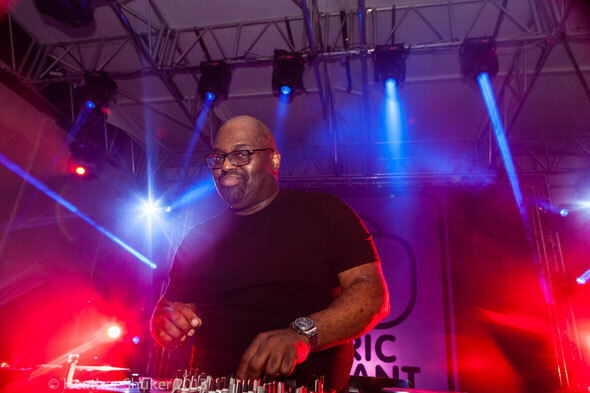 DJing for four hours, Frankie Knuckles is one of those undisputed legends of house music that rarely plays. From back in the day on Chicago’s South Side, where it all started over 30 years ago to the present day, 'The Godfather of House' Frankie has long pioneered the definition of true house music. As Hot Creations boss, the records that pass Lee Foss’ ears are possibly some of the best in the business. Having offered a different take on dance music to a modern UK audience, first with a solo career and secondly with Hot Natured, Lee will be playing the middle floor with a 3-hr set. Alongside Jamie Jones and Infinity Ink, as Hot Natured, Lee hit the UK charts in 2012 with the acclaimed ‘Benediction’. Having gained a wider audience with remixes for Rudimental and Lana Del Rey, he still comfortably sits in the underground.